Dr Rajaa Chiri has returned from maternity leave and is available Tuesday 8am-2pm or Sunday 8am-1pm. At Dentist WA Canning Vale, Dr Rajaa Chiri, BDSc, is committed to helping Canning Vale families achieve beautiful, healthy smiles. 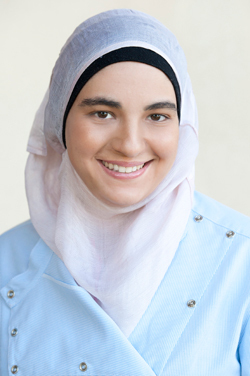 Rajaa graduated from the University of Western Australia in 2010. In addition to her university education, she takes professional development courses on a regular basis. For Rajaa, the most fulfilling aspect of being a dentist is showing her patients that visiting the dentist doesn’t need to be unpleasant. Outside of work, Rajaa enjoys baking, Pilates and going for light jogs or walks around the river.